NRE Properties are very proud and excited to be partnering with Mortgage IQ for Mortgages and Protection. We can now help to arrange everything from first time buyer mortgages and buy to let mortgages to home insurance and income protection. Mortgage IQ advisers have expert experience of the local mortgage and property market ensuring they're best placed to find you the lender and deal that best suits your needs - saving you time. Buying your first home and getting onto the property ladder can seem quite daunting. It is often the considered to be a complicated and worrying process but with Mortgage IQ it does not need to be. Mortgage IQ can guide you through the process and can offer tailored mortgage advice specific to your circumstances. Their advisers understand it's all new to you and will explain everything in simple terms and at your pace. Affording to buy your own home can be difficult, but with the help of ‘The Northern Ireland Co-Ownership Scheme’, owning your own property may be a very real option available to you. Co-ownership allows you to become an owner by part-renting and part-buying the property, known as equity ‘sharing’. You buy a share of your home (between 50% and 90% of the home’s value) and pay rent on the remaining share. You’ll need to take out a mortgage to pay for your share of the home’s purchase price. You can buy more shares in your home any time after you become the owner. This is known as staircasing. 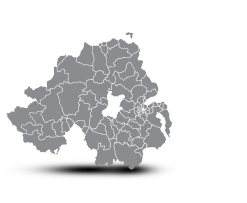 Mortgage IQ have one of the most experienced and dedicated adviser teams in Northern Ireland. Advisers are all fully qualified and have industry experience second to none. Mortgage IQ works with leading insurers to ensure that your buildings and contents is adequately protected at the right price. What's more - they will price check this each year for you to save you the hassle. This covers the building itself against things like fire or flood. It will also cover permanent or fixed fixtures and fittings in your home and garden, and any outbuildings that form part of your home. If you own your home, buildings insurance is absolutely essential. If you have a mortgage, your lender will almost certainly demand you have a policy in place as a condition of your loan. Contents insurance protects your household good and personal possessions, such as electrical goods, jewellery, clothes and furniture. You can add various options to your contents insurance that will provide additional cover. Two common enhancements are accidental damage cover and cover for possessions outside of the home. Some insurers include these additional options as standard. If you are renting a property, you probably won’t needs buildings insurance (as this will be the responsibility of the property owner), but you will need contents insurance. As well as offering standalone contents insurance, most insurers offer ‘combined’ polices that also include buildings cover. This is usually the most convenient and cost- effective way to buy your home insurance if you need both types of cover. Get in touch with the NRE team to discuss your options.